An adorable micro -miniature with a small leaf span & charming compact spikes of small white flowers accented by an orange lobbii-influenced lip ! When Phal. 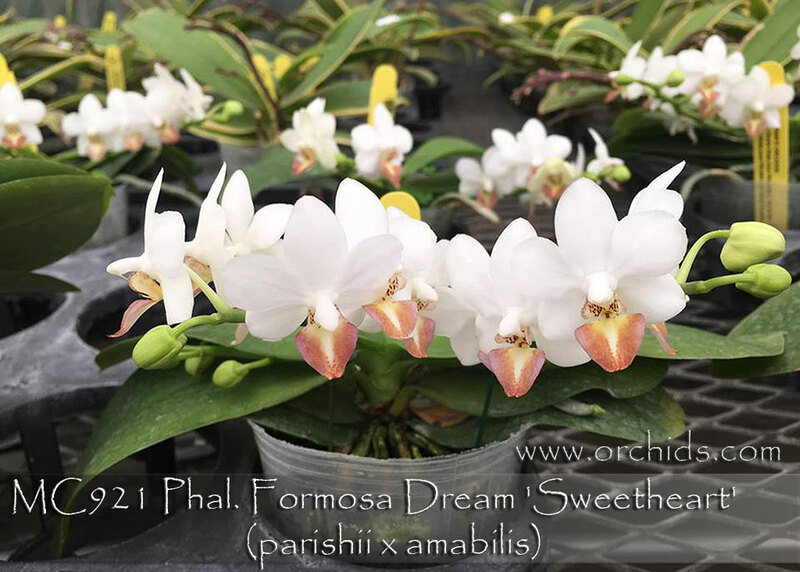 Formosa Dream was originally registered, Phal. aphrodite and Phal. 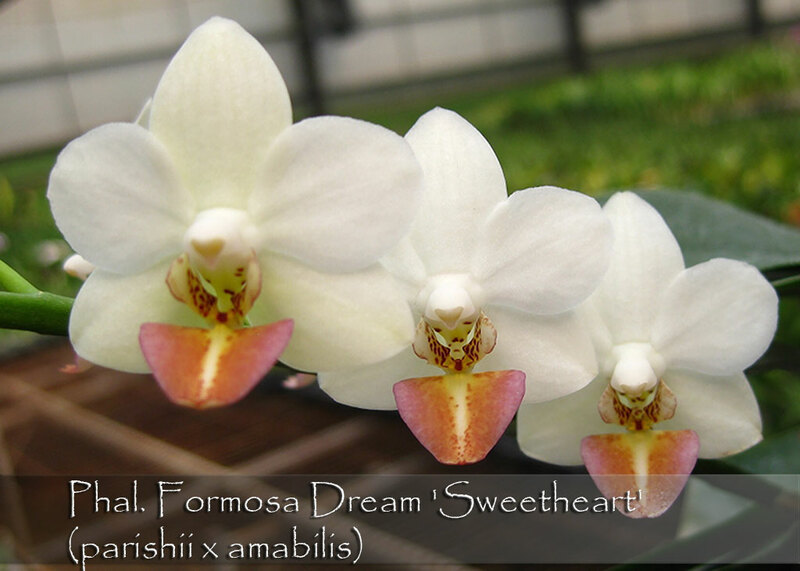 parishii had not been separately identified so this name could have been registered by the hybridizer using amabilis or aphrodite, and lobbii or parishii. As a result, the hybrid name applies to any combination of these parents. 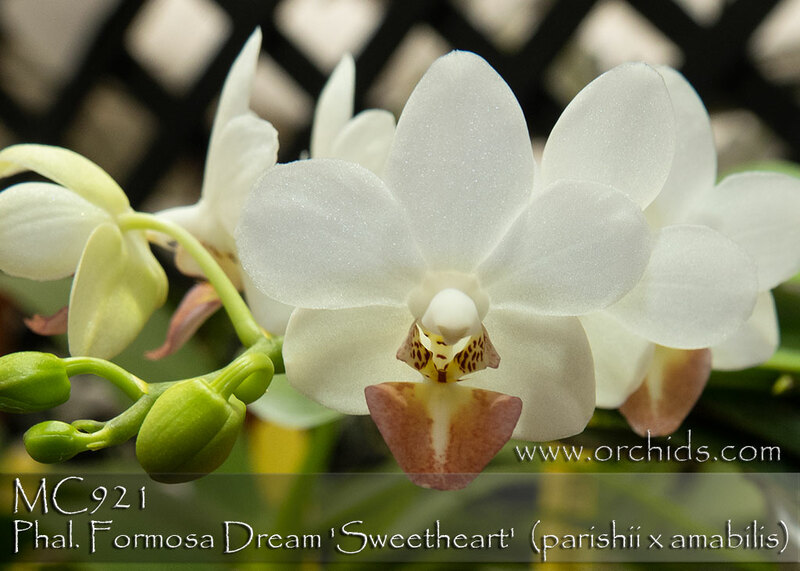 However, from the full flower form & the lip shape, we suspect the cross is actually Phal. aphrodite x Phal. parishii. Whatever the parentage, it’s hybrid name remains the same. 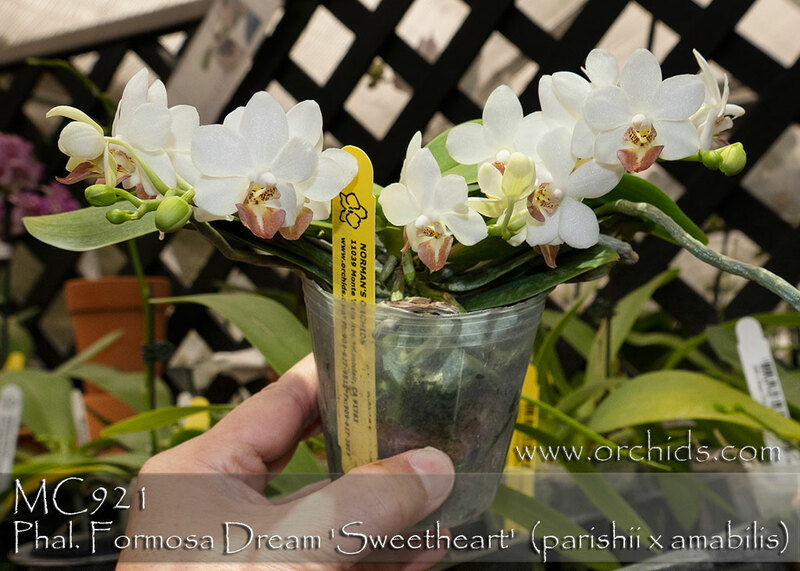 And it’s a great easy-to -grow micro -mini that will fit easily into any collection and thrives under lower Phalaenopsis light !